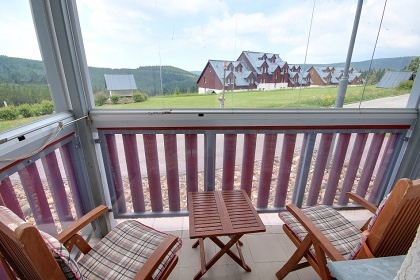 Rental apartments - accommodation Horní Mísečky 1035 m n.m. ***. 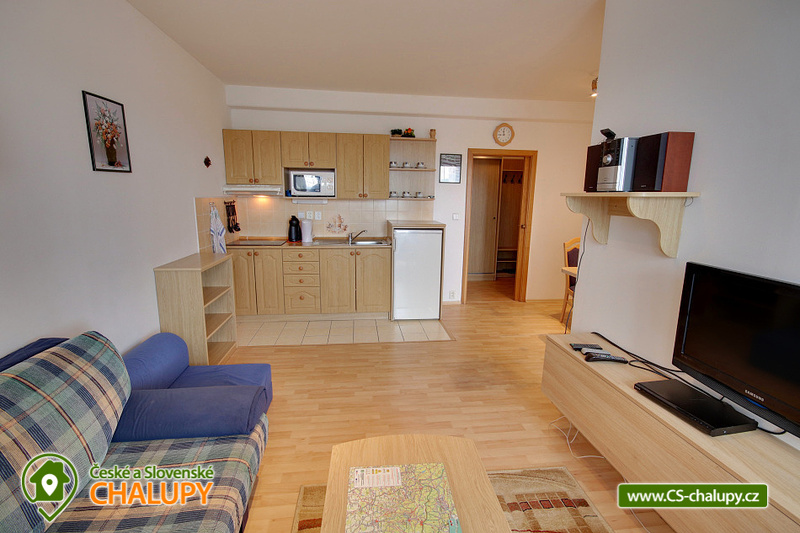 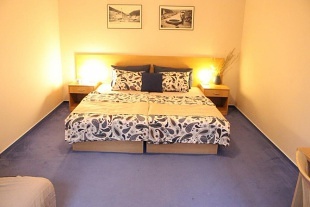 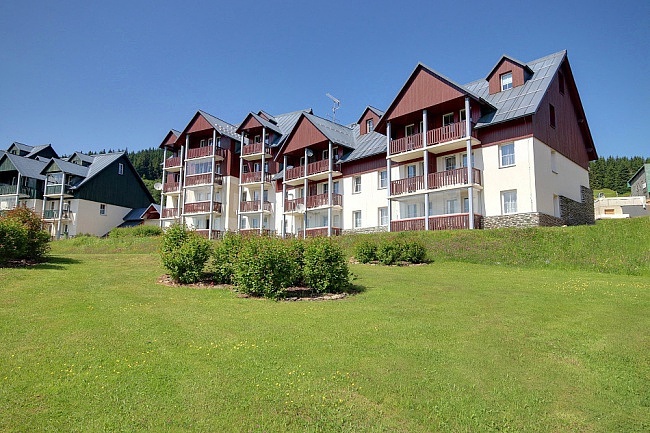 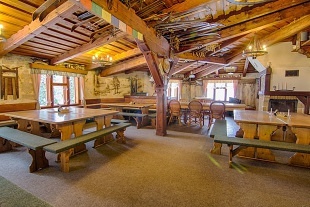 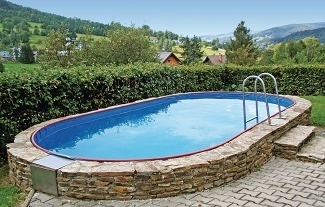 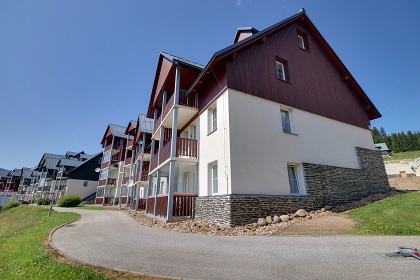 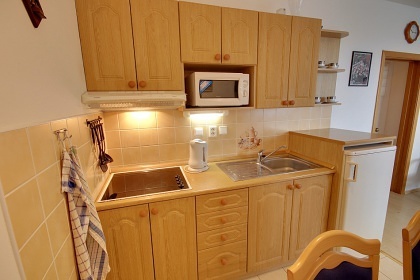 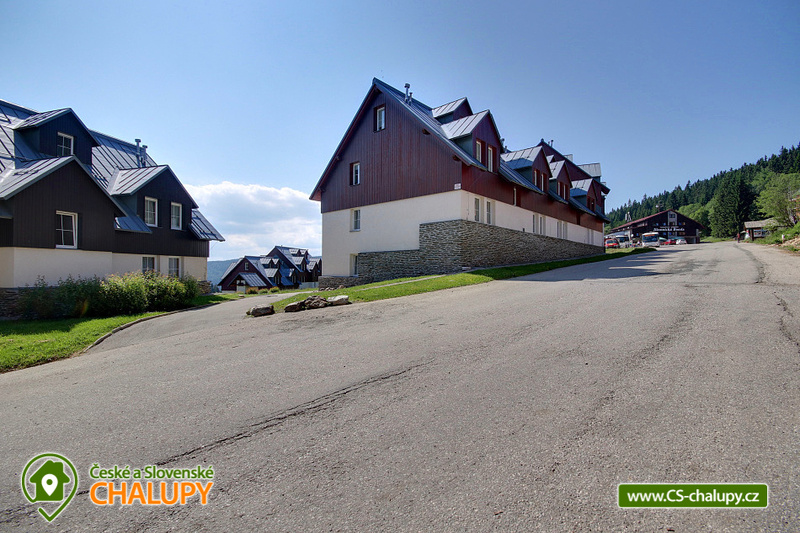 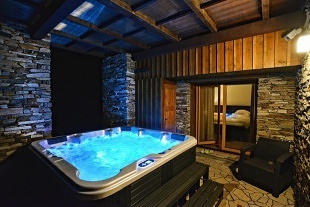 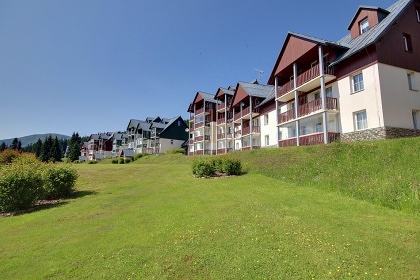 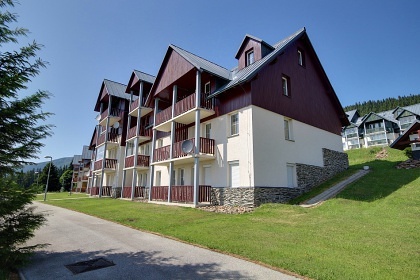 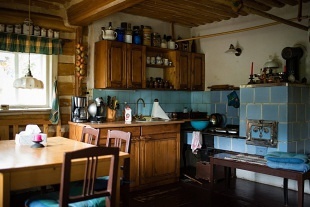 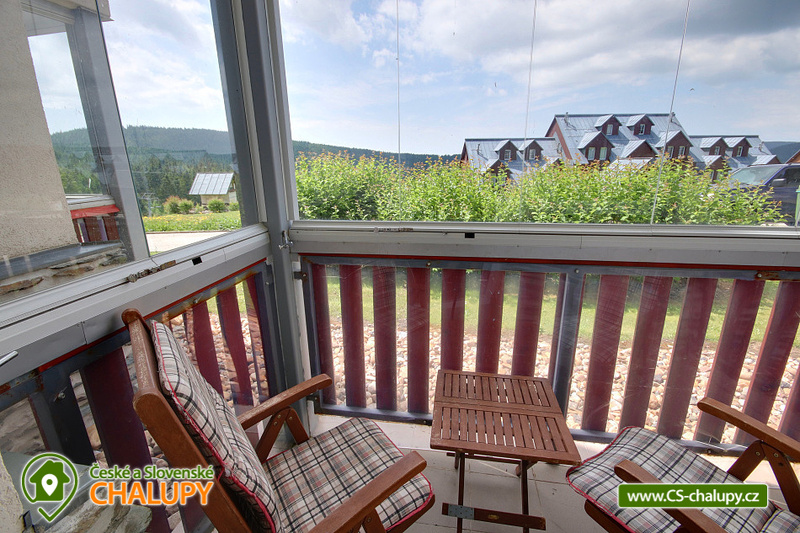 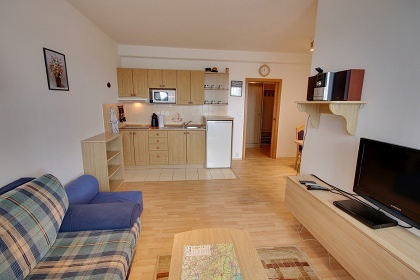 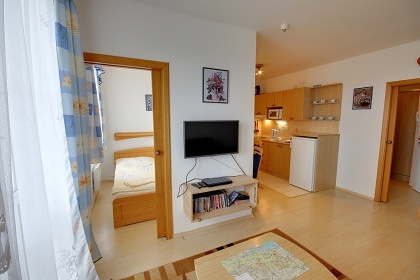 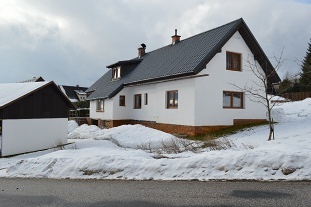 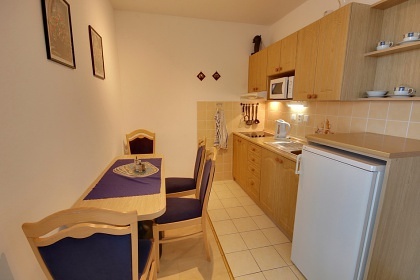 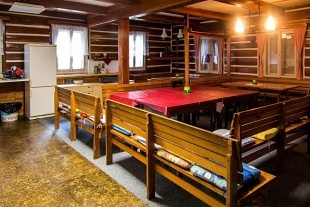 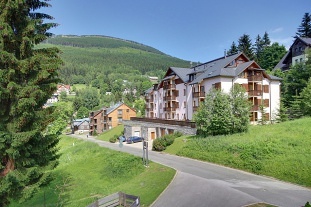 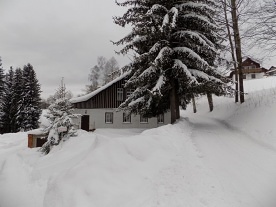 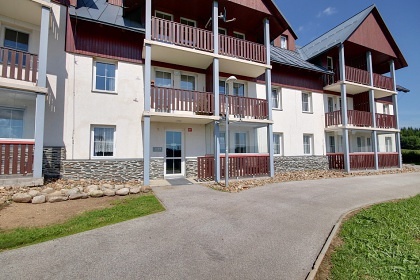 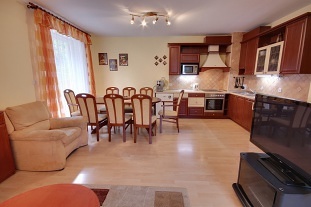 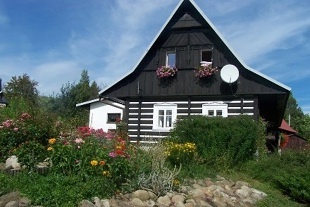 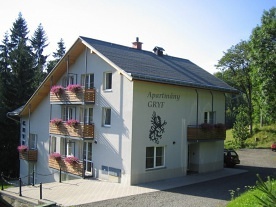 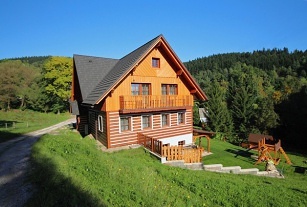 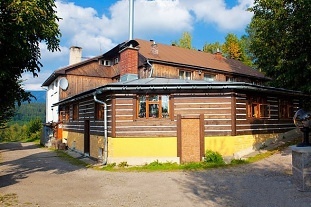 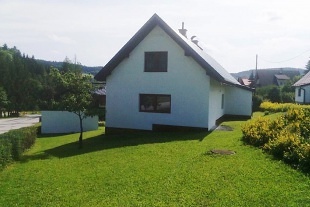 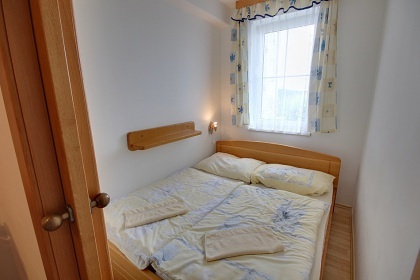 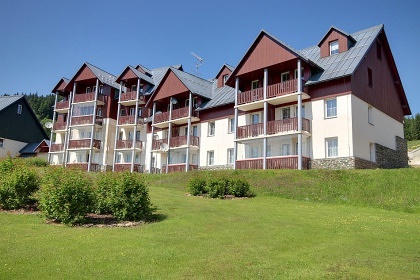 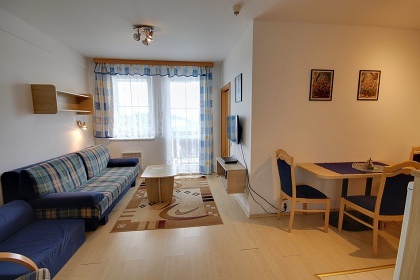 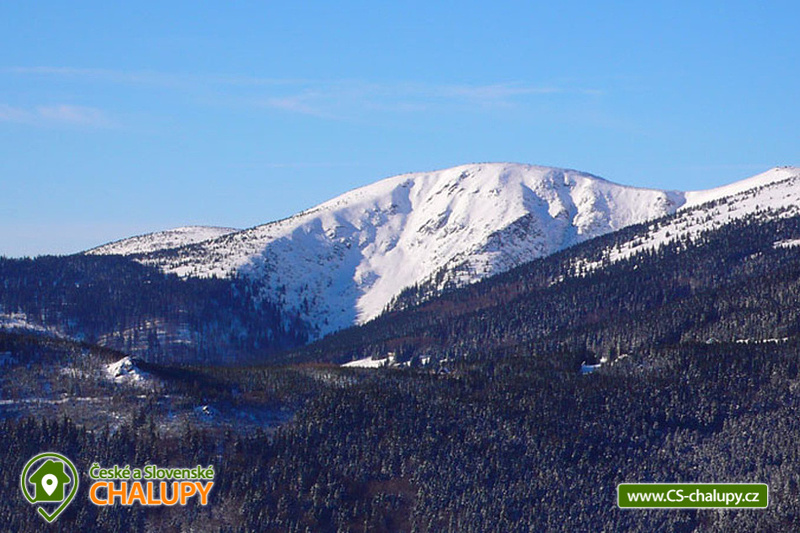 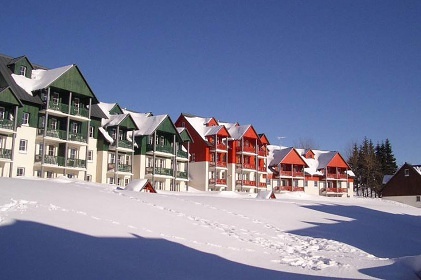 We offer accommodation in an apartment for up to 5 persons, located in the apartment complex Horní Mísečky at an altitude of 1035 m (ski resort Špindlerův Mlýn), about 15 km from the small town Jilemnice. 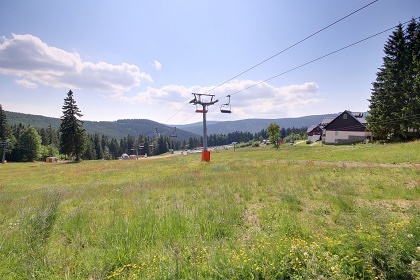 NEW FOUR WEDNESDAY LANGUAGE - ONLY 20 METERS FROM OUR BUILDING - connects the central parking lot of Horní Mísečky and the peak of Medvědina, where there are other chairlifts from Špindlerův Mlýn. The accommodation is a nicely furnished apartment oriented to the southwest side overlooking the surrounding ridges. 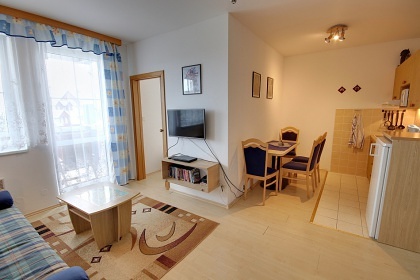 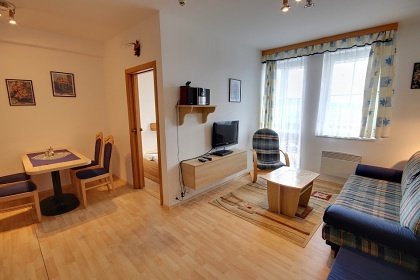 APARTMENT DESCRIPTION: Bedroom with double bed, living room with two sofa beds and possibility of 1 extra bed, fully equipped kitchen and dining area (fridge, microwave, kettle, glass ceramic hob, dishes, cutlery, dishcloths, detergents, etc.) 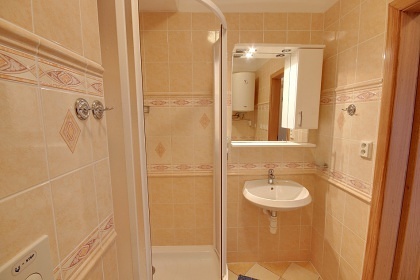 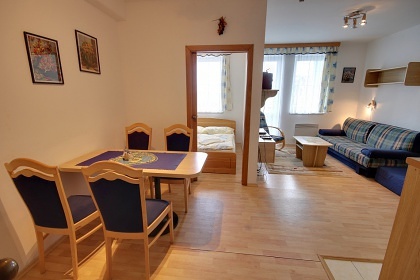 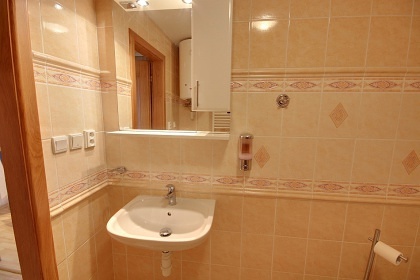 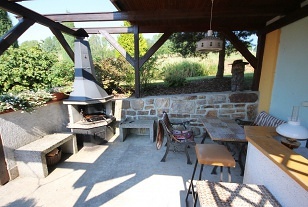 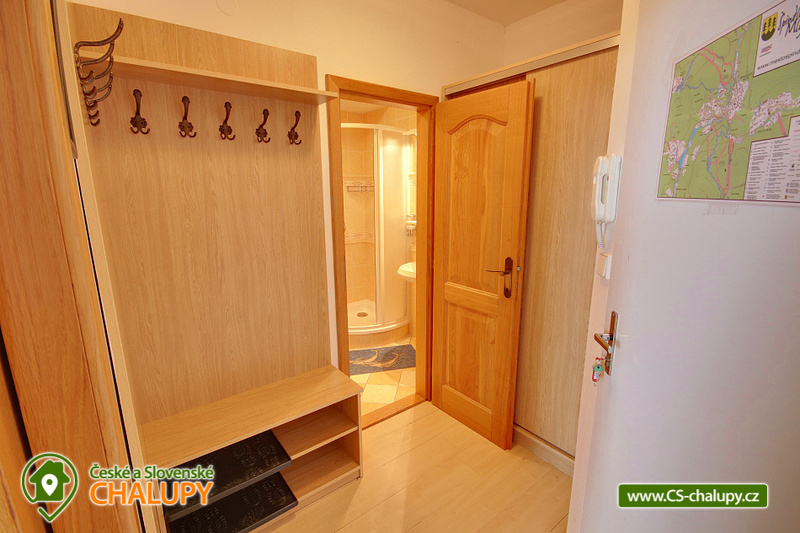 , hall with built-in wardrobes, bathroom with toilet and showers. 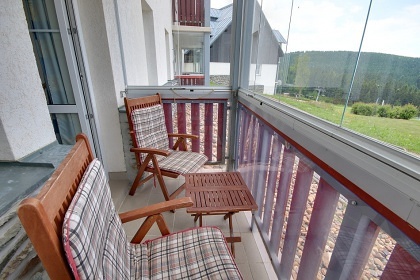 corner, balcony with sitting, storage room for ski and bicycles. 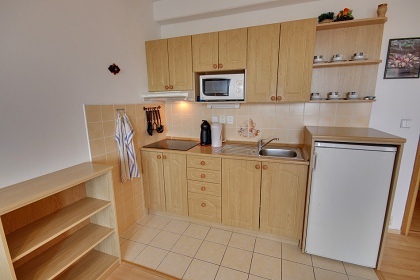 The apartments have a minibar (soft alcohol, confectionery, coffee, tea). There is a DVD player, a HiFi tower and a TV / SAT (about 30 channels), Internet connection - Wifi free. 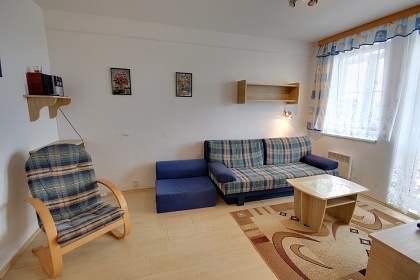 There is an administrator - the office is right in the apartment building. Parking in the central car park near the building or in underground garages. 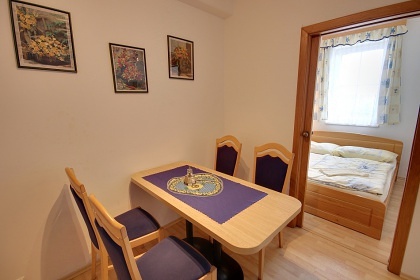 Free baby cot and children's dining chair are available for free. 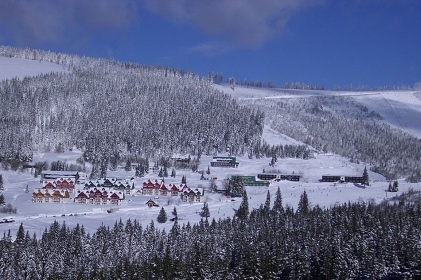 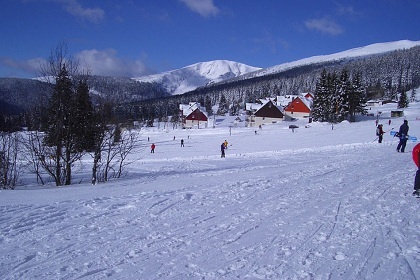 Horní Mísečky Recreation Area offers you a plethora of not only winter but also summer sports activities. 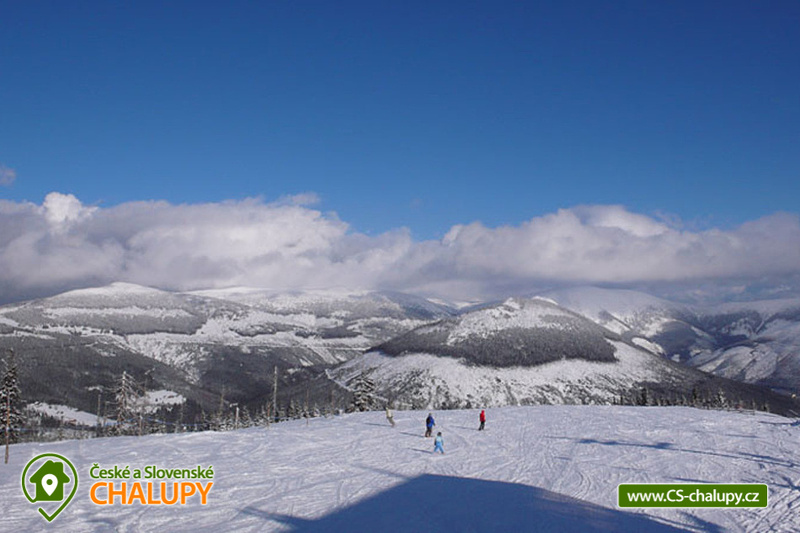 In the winter we will satisfy all skiers, from beginners to the most demanding. 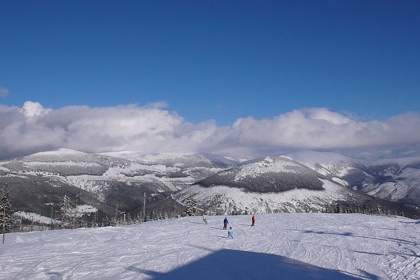 Evening skiing is a matter of course. 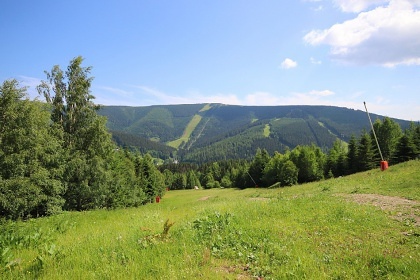 For cross-country skiers there are up to 60 km of well-trained cross-country skiing tracks and a cross-country skiing stadium, where our teams also train. 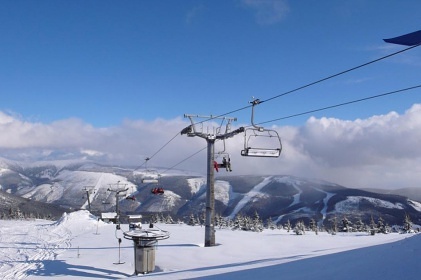 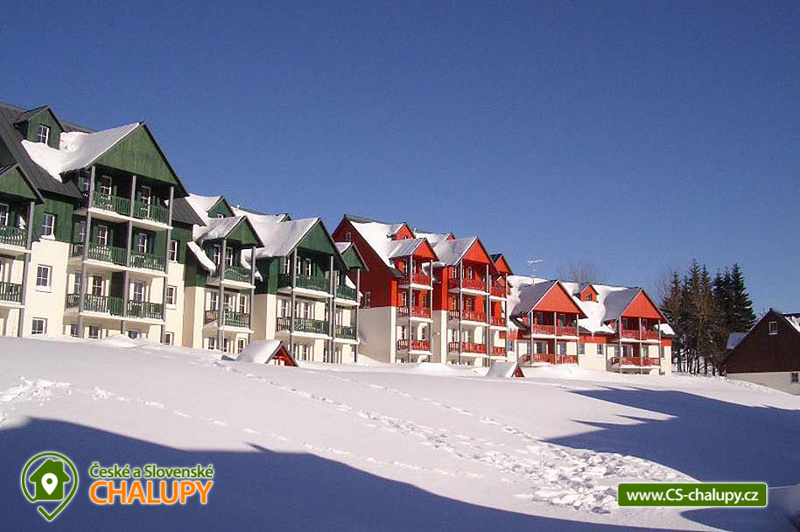 In the area are available ski schools, ski equipment rental, restaurants and buffets, ATTRACTION: snowboardpark, snowtubing, summer bobsleigh track. 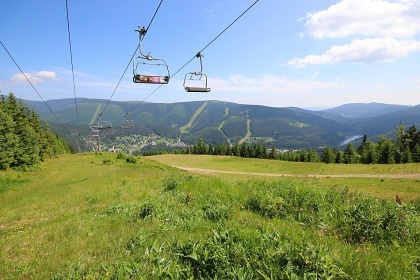 In the summer period Horní Mísečky is an ideal starting point for hiking trails along the Krkonoše Mountain ridges, for cyclists there are many marked cycling trails, as well as special holiday tourist buses for bikes. 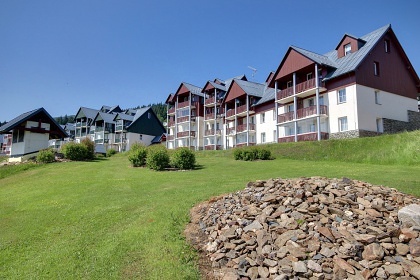 Tourists very popular is the bus connection departing from our apartments in Horní Mísečky towards the ridges of the Giant Mountains - Zlatá návrší. 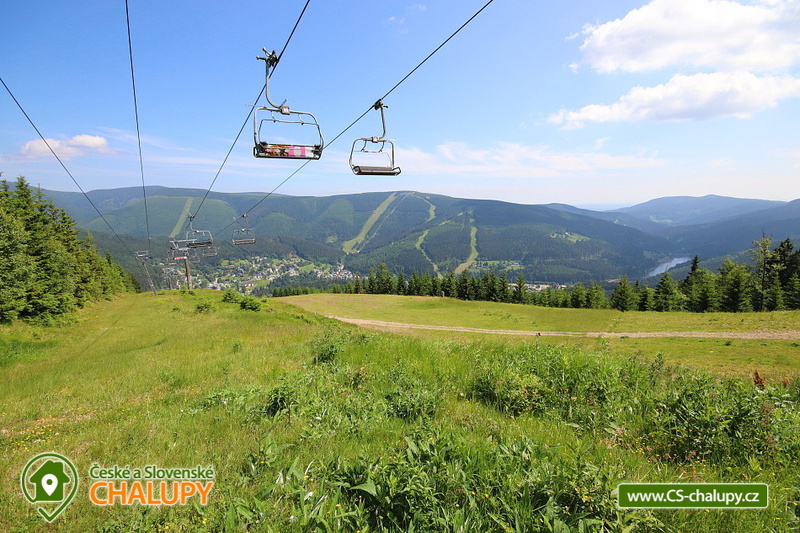 From there you can take a short stroll to the spring of Elbe or on the ridge hiking trail - The Way of Czech-Polish friendship. 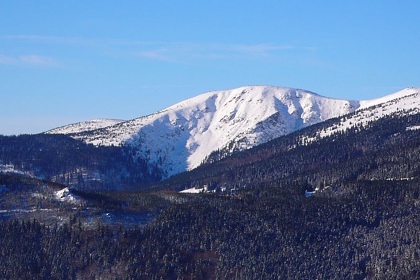 Deep forests are a paradise for mushroom pickers, ideal conditions for collecting forest fruits (blueberries, raspberries, etc.). 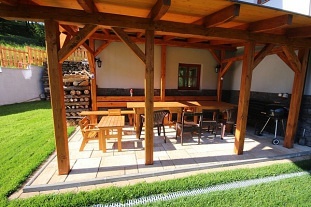 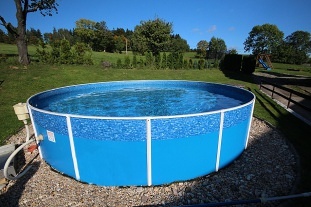 Additional information Zapůjčení dětské postýlky a dětské jídelní židličky zdarma. 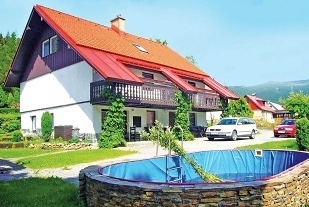 Additional information Možné garážové stání v zimě za 200 Kč/den, v letním období 100 Kč/den.